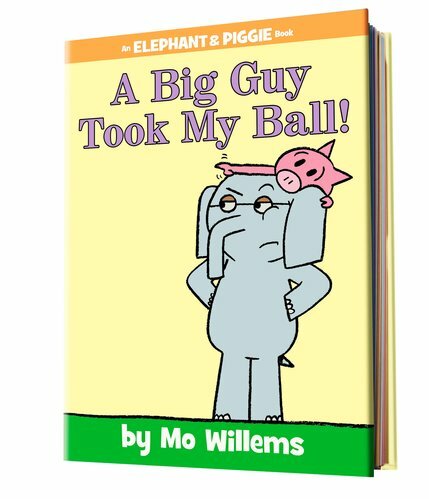 Elephant and Piggie: A Big Guy Took My Ball! A cheery story about meeting someone bigger, from an award-winning series acclaimed by Time magazine. 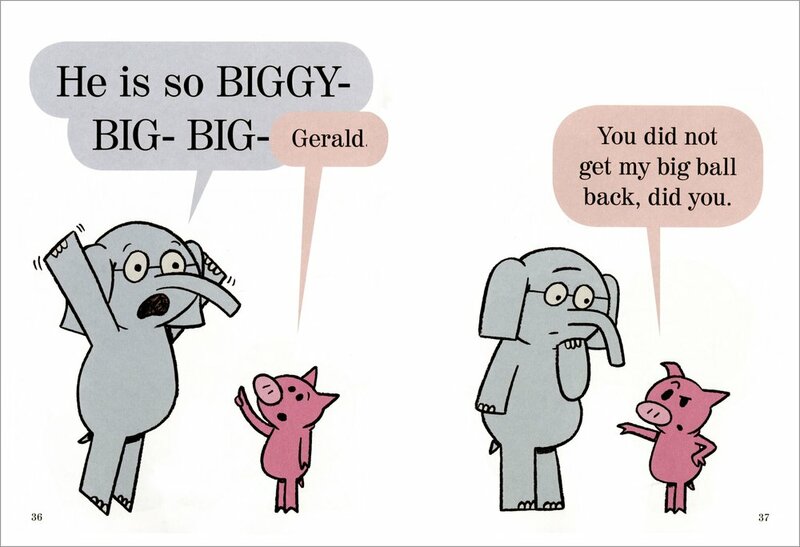 Gerald and Piggie are best friends and total opposites. 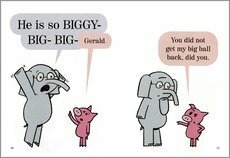 Elephant and pig; big and small. But is Gerald big enough to help out his best friend when someone even bigger snatches her ball? When he finds out just how big this massive mammal is, Gerald isn’t so sure. Big guys always get their way! But things are not quite as they seem. Sometimes it’s the biggest guys who have the biggest problems… With its comic-strip pictures and easy text in speech bubbles, this acclaimed series is great for early readers.